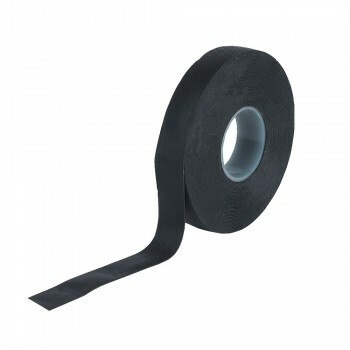 Self Amalgamating Tape Black 19mm x 10m. Self-amalgamating tape is a non-tacky silicone-rubber tape which when stretched and wrapped around cables, electrical joints, hoses and pipes combines itself into a strong, seamless, rubbery, waterproof, and electrically insulating layer. It is heat, sunlight and weather-resistant. Resistant to a wide variety of chemicals including vegatable oils, hydraulic fluids and alkalis. Resistant to UV, ozone and water. Ideal for waterproofing and insulating electrical connections. Suitable for emergency and temporary repairs of plumbing connections. Inhibits rope chafing on boats. You're reviewing: Self Amalgamating Tape Black 19mm x 10m.